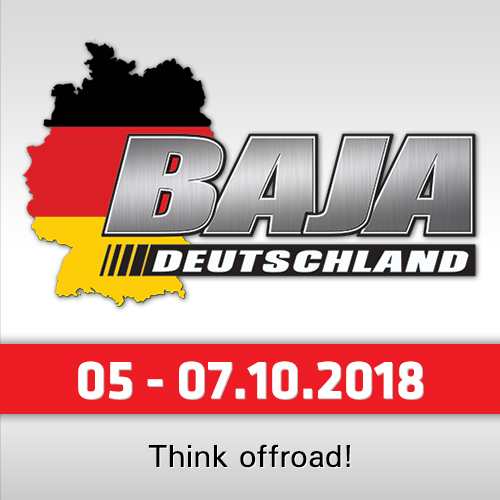 Together with KTM Rally Team Manager Alex Doringer and KTM Rally Sport Manager Jordi Viladoms, the three-rider team of 2018 Dakar-winner Matthias Walkner (Austria), 2017 Dakar-winner Sam Sunderland (UAE/UK) and 2016 Dakar-winner Toby Price (Australia) will continue their 2018 race schedule with the Abu Dhabi Desert Challenge - the first of a series of events throughout 2018 that ultimately lead up to the Dakar at the beginning of next year. The team plan to race round one of the FIM championship in Abu Dhabi before heading to Morocco for the Merzouga Rally two weeks later. A break over the summer then leads into the three South American rounds of the FIM championship held in Peru, Chile and Argentina. Many of these events share similar terrain to that used in the Dakar, giving riders crucial feedback ahead of the iconic race. 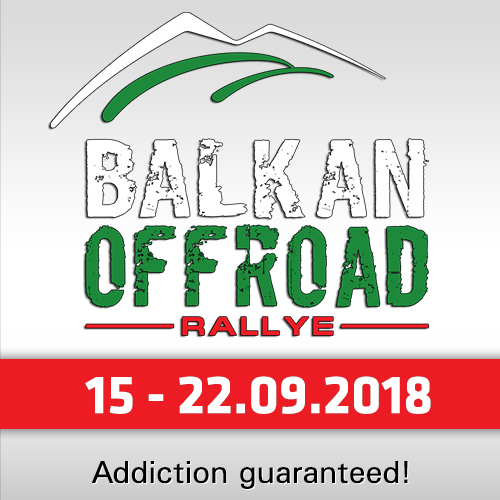 In October the team return to Morocco for the Rally du Maroc, their final event of 2018. Dakar Champion Matthias Walkner has enjoyed well-deserved time off following his impressive victory at the beginning of the year. 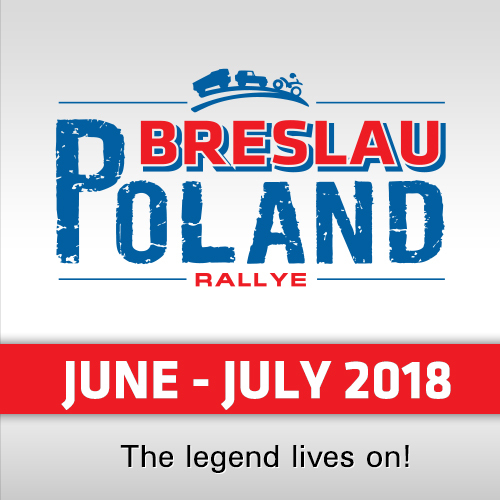 Receiving huge media attention, especially at home in Austria, the 31-year-old is now fully focused on the season ahead and, ultimately, the defence of his Dakar crown. "It’s good to get back into training for the new season," said Walkner. "I have been so busy the last couple of months. I have had so many commitments after winning the Dakar, it has been hard to think about the new season and to keep up my training routine. It has been amazing though, and I have enjoyed every minute." He continued: "It really has been special to be able to celebrate my win with friends and family as well as the team at KTM and Red Bull. Now I am focused on the world championship and recent testing in the sand of Morocco has gone well. Abu Dhabi is a very fast rally and the results will be very close between the top-guys. I am working hard with my training and it feels great to be back on the bike again." Retiring from the Dakar was not part of the plan for 2017 winner Sam Sunderland. The Brit was leading the charge for KTM when a huge impact injured his back, forcing him out of the rally. After flying home, Sunderland was soon back on a bike and in training for the 2018 season. Putting that disappointment behind him, he has his sights set on claiming good results during the year with the ultimate goal of regaining the Dakar title early 2019. "Training in Morocco has gone really well recently," said Sunderland. "It feels great to be back on the bike and back with the team. Being forced to retire from the Dakar was disappointing so I’m happy to be training and thankfully I feel good on the bike with no injuries. We had a hard week in Morocco in preparation for this first rally in Abu Dhabi. I’m really looking forward to getting back to racing and Abu Dhabi is like a home-race for me. I won there last year and hopefully I can have a good run again this year and claim another victory. 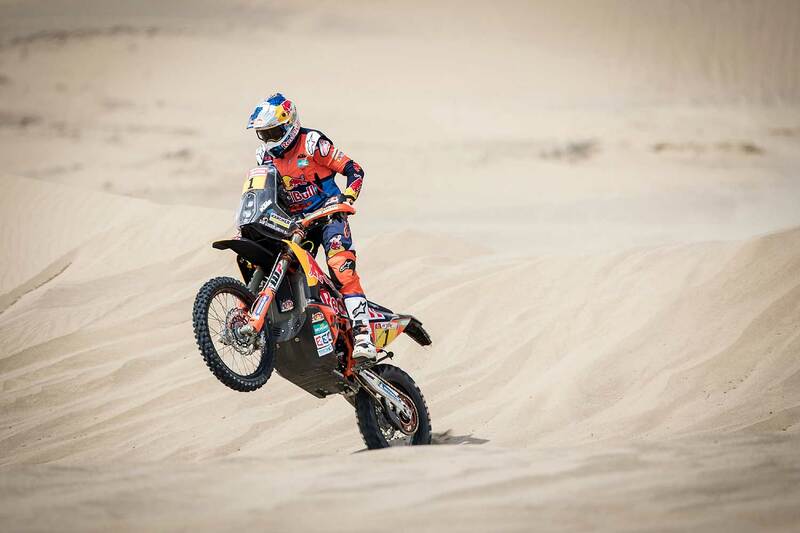 There is a long season ahead leading up to the Dakar so I plan to take things step-by-step and hopefully get some good results along the way." 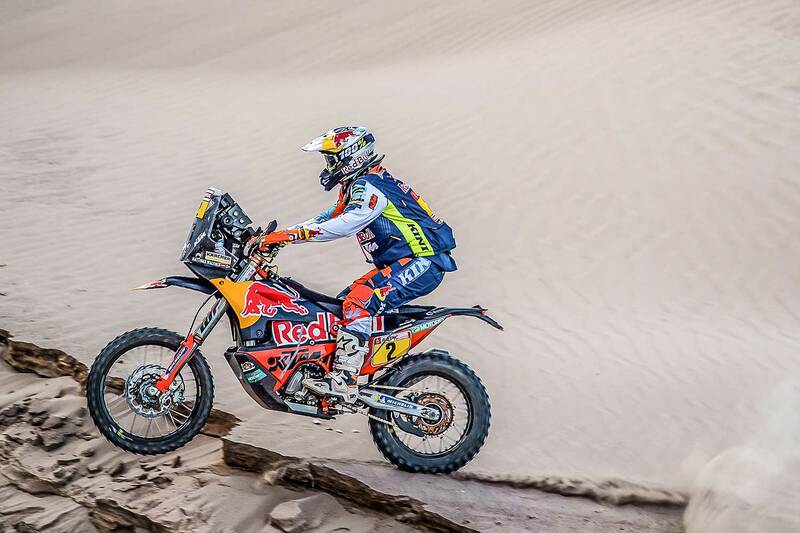 Towards the end of the 2018 Dakar Rally, Toby Price was on form, pushing hard and taking stage wins. His speed during the second week of the event was unquestionably fast, with the Australian well and truly putting his troublesome leg injury behind him. Enjoying some time off the bike following the Dakar, Price has kept his eye in with guest drives in both cars and trucks. With his focus now firmly on two-wheels again, Price is looking forward to his first race of the year in Abu Dhabi. 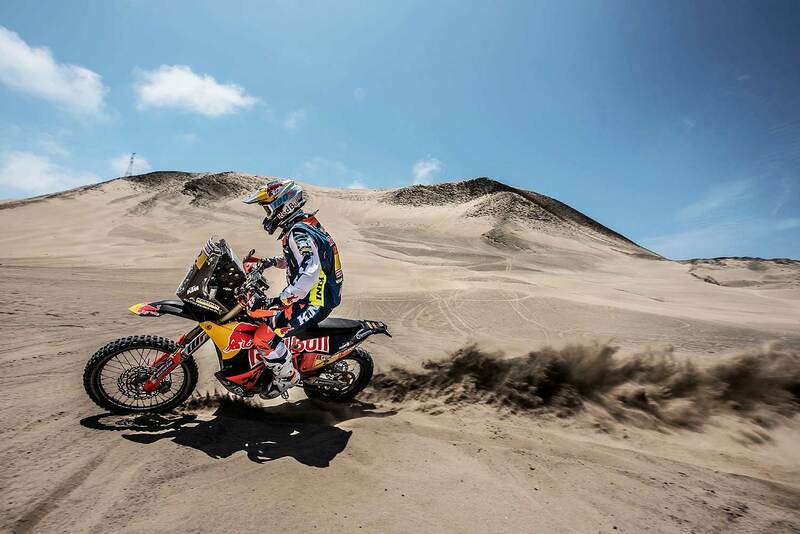 "I’m really looking forward to getting back on the bike and racing in the dunes again," said the Australian. 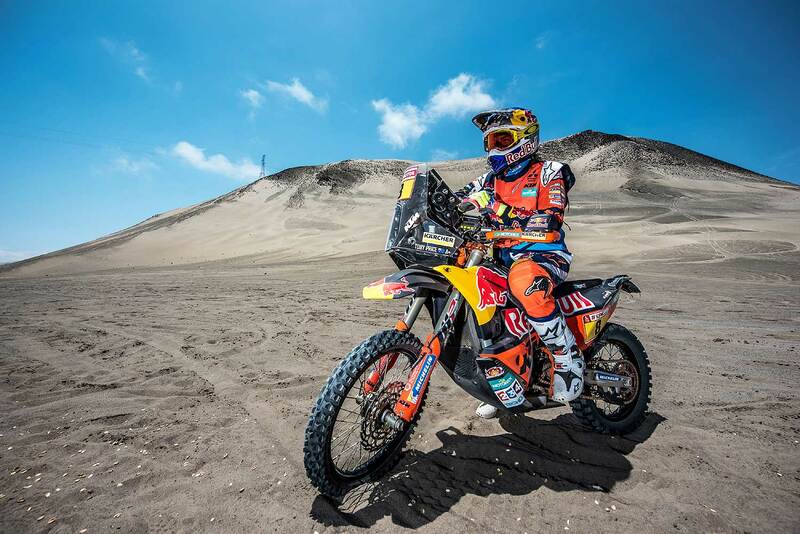 "Straight after the Dakar I had a few weeks off to let my body recover, catch up and get back to normal. As well as doing some training on the dirt bike, I rewarded myself with a bit of car racing too. I tested with Sebastian Loeb and Antoine Meo, which was a lot of fun." He continued: "I also contested the Mint 400 in the US in a truck. I’m back on the bike now though training hard and getting ready for Abu Dhabi. We expect the race to be pretty tough as it’s all ridden in the sand dunes and everyone seems to push pretty hard there. Hopefully I can get a good result and then start to look ahead to the rest of the season. The goal for me is to stay fit and healthy and be ready for Dakar next year. In the past I haven’t been 100% going into the Dakar, so this year I want to make sure I’m at the top of my game and do everything I can to get back on top of the podium."